The charismatic, globe-trotting trio are the most successful classical crossover artists ever to have come out of Ireland are returning to Australia in May 2019. 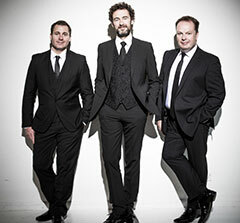 The Celtic Tenors will also perform The Irish Songbook on their 2019 Australian tour with such classics as Finnegan’s Wake, In The Gloaming, Song For Ireland, Danny Boy, The Dutchman, Caledonia, You Raise Me Up and many more favourites. “The finest version of ‘Danny Boy’ I have ever heard.” (President Bill Clinton).